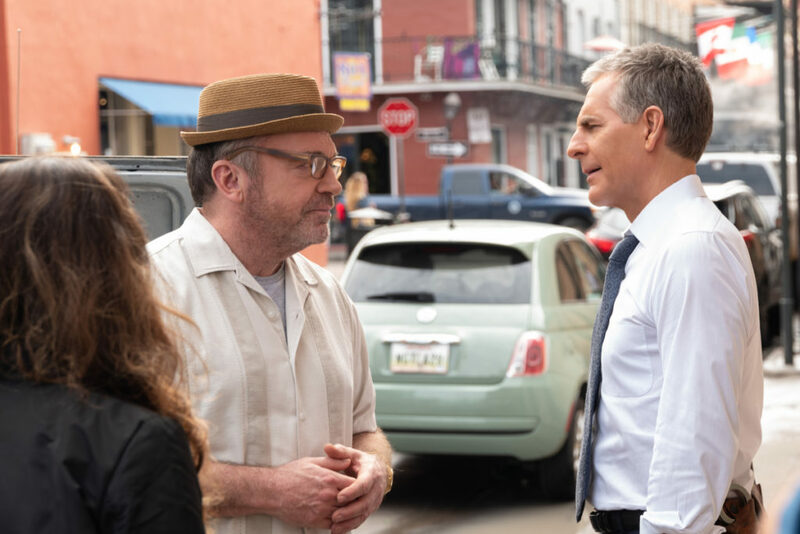 Tonight on NCIS: New Orleans season 5 episode 20, the CBS series brought back a fan favorite in Tom Arnold’s Elvis. Beyond that, we also had a chance to meet his daughter; or, at least a woman in Wendy that he claimed was his daughter. He was actually just a sperm donor many years ago who ended up tracking her down and trying to be in her life. The bulk of Tuesday night’s episode can really be boiled down to just asking one pretty simple question: Is Elvis actually good at what he does? Or, is he more harm than good? Most of this episode was spent watching what were effectively a series of Elvis-related hijinks as the investigation carried on. He tried to stand up for Wendy even when she didn’t want him around and when she was held at gunpoint, he busted in to try and save her life … while also serving as a bit of a distraction. He even allowed himself to be captured so that she wouldn’t be. In a lot of ways, this was one of the most caring versions of Elvis that we’ve had a chance to see. He was a good father … or at least he could’ve been if he actually tried with all of the other stuff! Probably the best thing that Elvis probably did for Wendy during this episode was destroy her algorithm off of her laptop, mostly so that it would keep there from being any evidence of any of her acts. This saved her from jail time, though she was pretty annoyed about him decimating her life’s work without granting even the slightest bit of permission first. For the record, all of this happened while Pride was trying to hop a flight to get a little bit of family time of his own. That made him desperate to just get the case over with … but not so that he skimped on any of the details. It’s understandable if you think of Elvis as a polarizing character. He’s a little more comical than most of the other characters and, beyond that, the fact that this guy is both still alive and out of prison is as implausible as implausible will be. This is one of those episodes where you just have to enjoy the ride, the humor, and the characters — it was fun seeing Hannah’s reaction to this guy after never being saddled with him before. If you love Tom Arnold, rest assured that he’ll probably be back eventually … it feels pretty clear at this point that this is not a one-time thing for him. It’s the sort of gig that he could come back and do more or less on a yearly basis. Head over to the link here to get some more details all about the next new episode of the show!